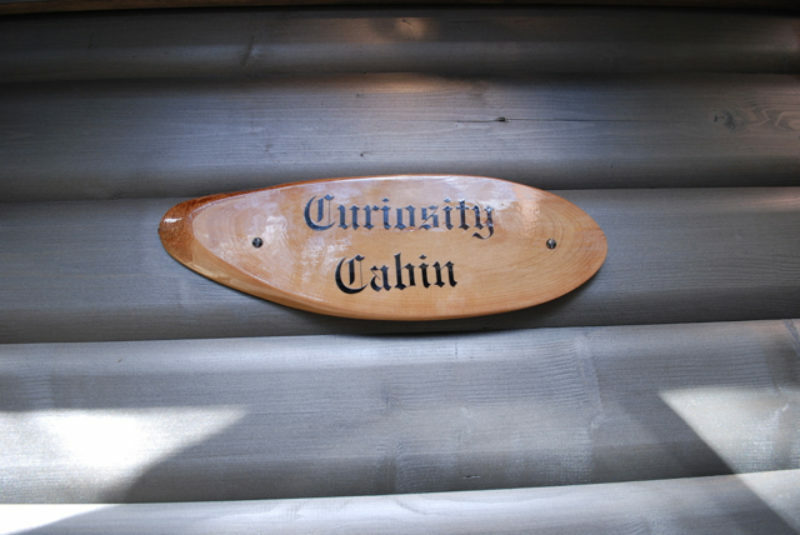 The new light-filled cabin is filled with vintage finds and quirky objects, beautifully displayed but all at easy reach of small enquiring hands and minds. 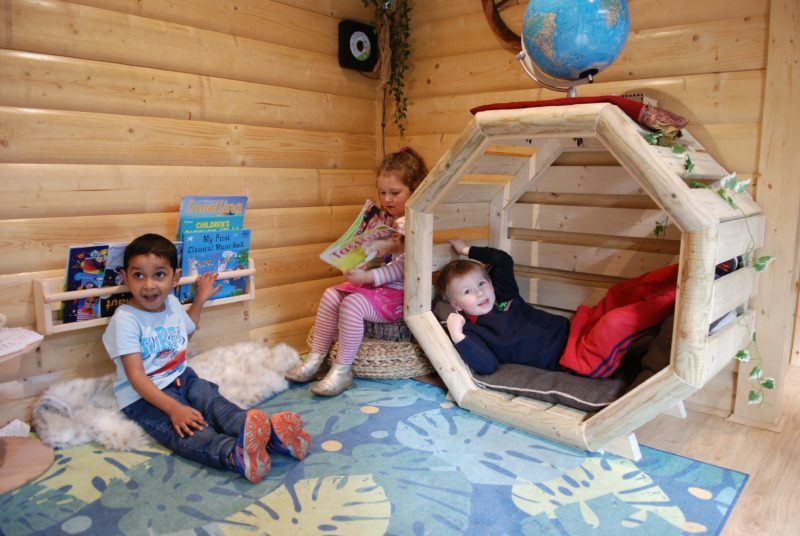 Pupils are encouraged to question, learn and imagine…. A reading corner boasts an enclosed wooden seat, old wooden crates are packed with beads, wooden letters, keys, curtain rings and pencils, and an old typewriter takes pride of place in the corner. 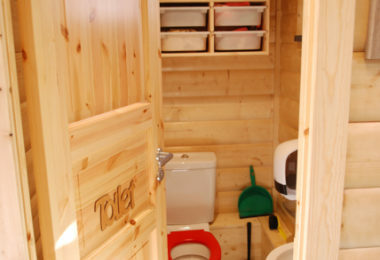 The wonderful aroma, feel and visual appeal of natural wood is paramount to the space. 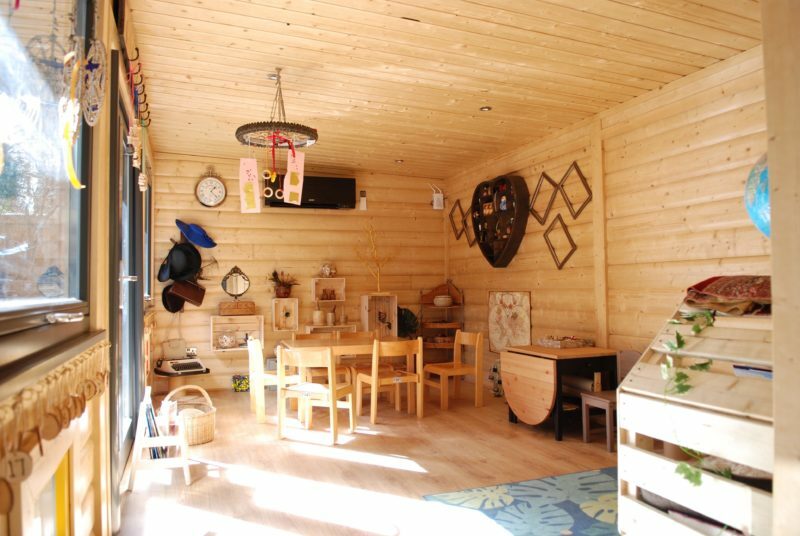 Rated outstanding by OFSTED, Reading-based Park Day Nursery prides itself on offering a home-from-home learning environment. 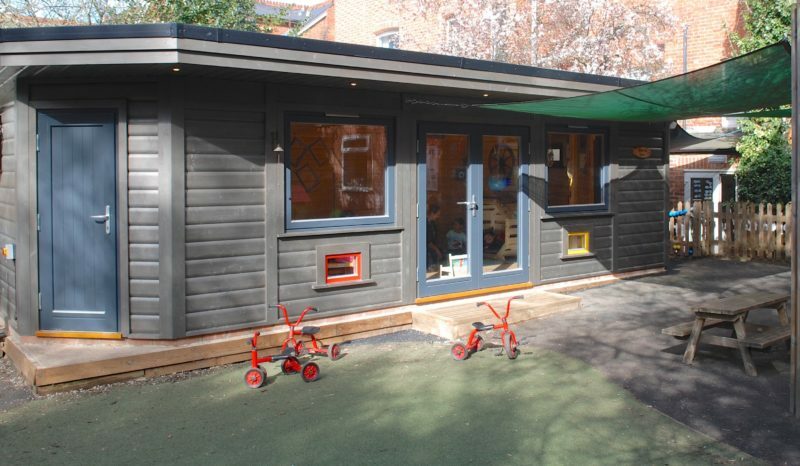 Based in a converted Victorian terraced house over four floors, the nursery has around 130 children on the roll. 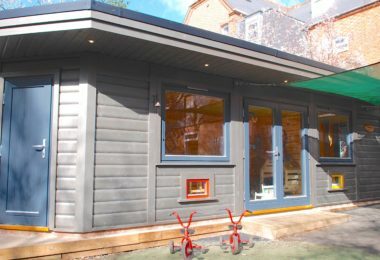 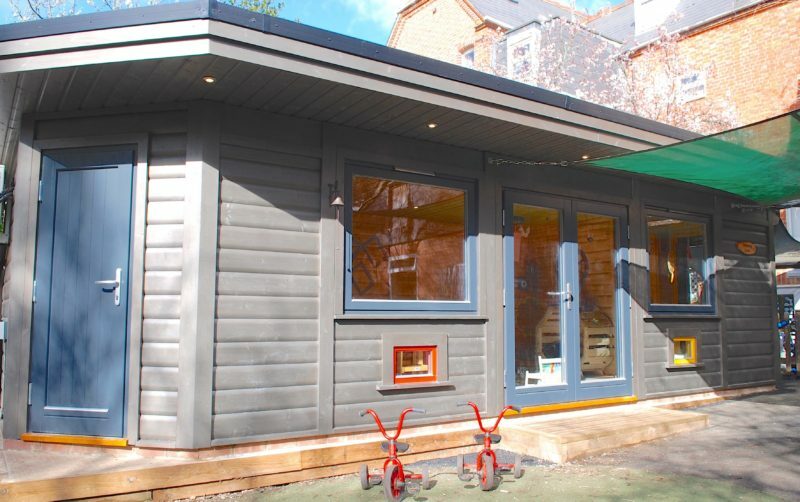 Its popularity with local parents, means occupancy is always near maximum so having this extra space to cater for pre-school children has been a real boon. 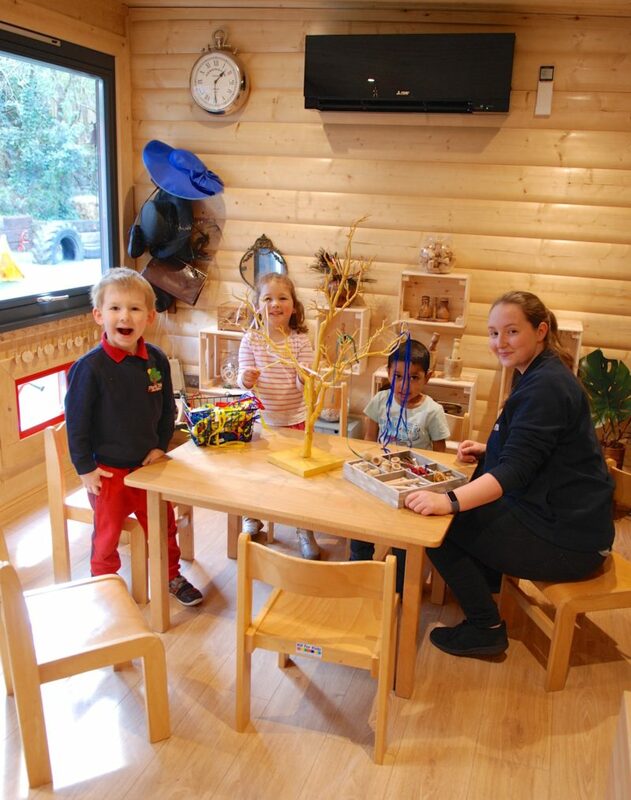 Pre-school teacher Sofia D’Angelo comments: “The cabin has just been great for encouraging communication. 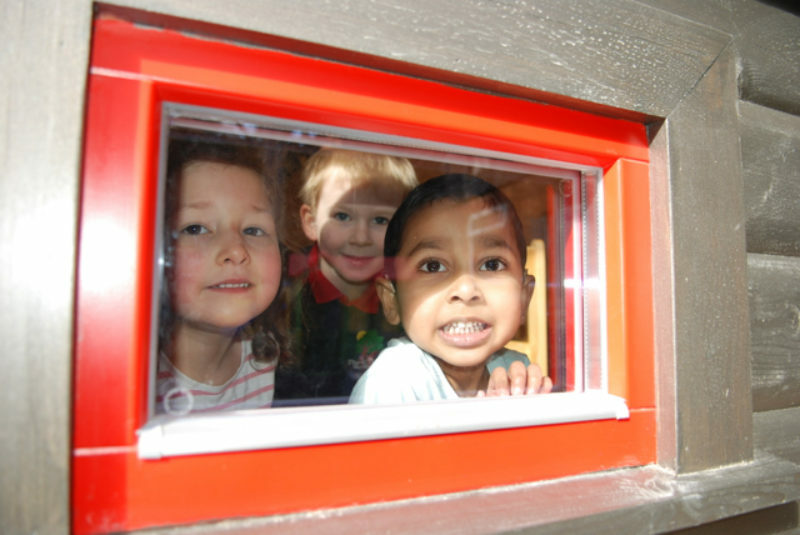 For children who are naturally shy, they really come out of their shells. 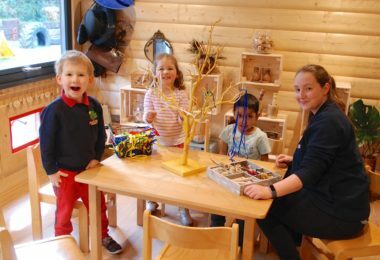 They find new connections and interests and it really helps their confidence.” Learning in this way, through curiosity, is a relatively new ‘kinesthetic’ method and draws on best practice from educational techniques like Reggio, Steiner and Montessori. Curiosity Cabin was installed just before Christmas next to the nursery in the back garden area. 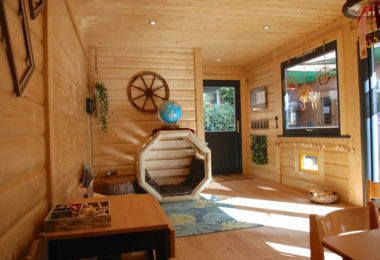 “We put the base down and then Norwegian Log delivered the cabin over a weekend and it took them three weeks to build. 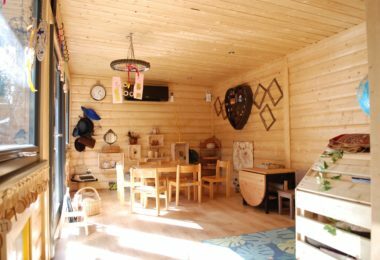 We were then able to lay the floor over Christmas and New Year, and it was ready for the new term,” says Jackie, who runs the nursery with her husband Simon. 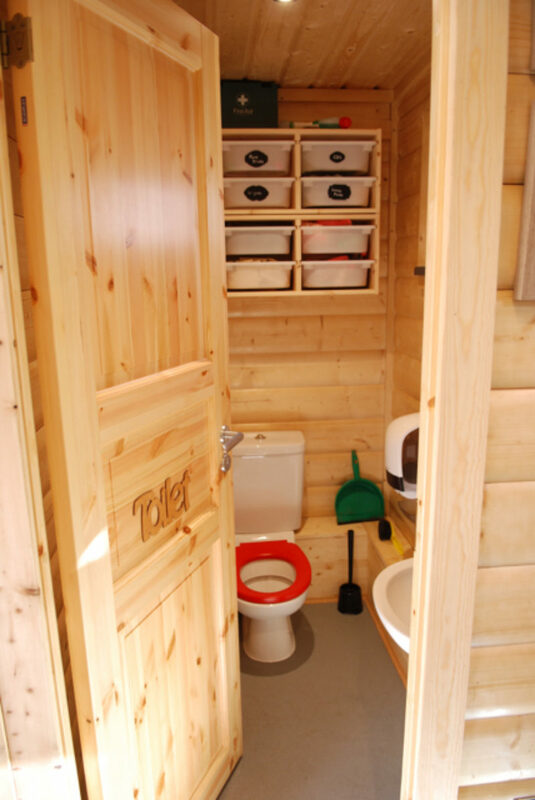 The log building boasts a large classroom area, toilet, store room and air conditioning/heater unit. Clever bespoke touches include two tiny windows at child height, allowing pupils to peep inside and out. 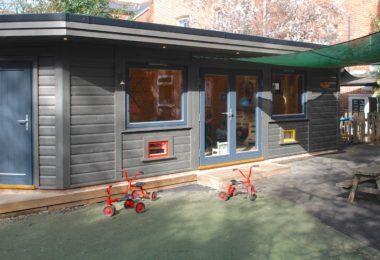 Shade canopies provide a visual and practical weather-protection link between the brick nursery and the cabin.